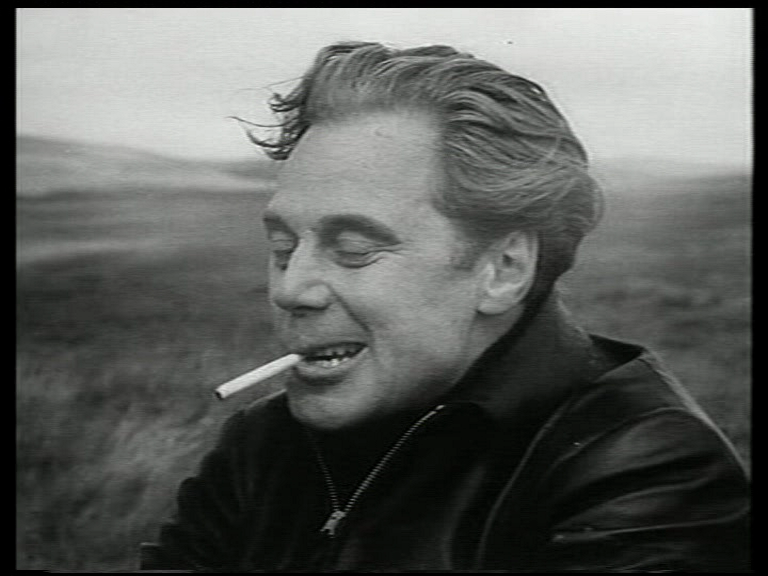 I was all excited — I’d discovered that there was a Jacques Tourneur film set in Scotland — CIRCLE OF DANGER. I’d also heard it was very minor, which proved to be the case. A thriller without any thrills or jeopardy, the film is enlivened solely by performances and Tourneur’s combination of bold imagination and impeccable taste in filming them. I once got into an intractable cyber-squabble with a fellow who insisted that all he wanted from cinema was beautiful mise-en-scene. He didn’t care about story or performance, all he enjoyed was the way the director moved the camera and actors together in a kind of dance. I rather felt that a good deal of the purpose of that dance was to bring out story and character values and present the performances to the audience, so our minds did not, so to speak, meet. Tourneur was a director much admired by both of us, and for similar but not identical reasons. The second-generation film director (his father, Maurice, was considered by some to be among the top three or four picture-makers in the world, in the late ’20s) was known for taking whatever job was offered him and filming the script as he found it. His work was always excellent — there are barely any weak performances in his films (Merle Oberon in BERLIN EXPRESS takes the prize for lameness) and his decoupagea thing of elegance and ingenuity. Only the last few films can really be faulted for his contribution. But, even though I’m a director myself, I can’t really find sufficient interest in a Tourneur film unless there’s a good script. THE FEARMAKERS, an incredibly tedious confection with no drama whatsoever, is the test case. 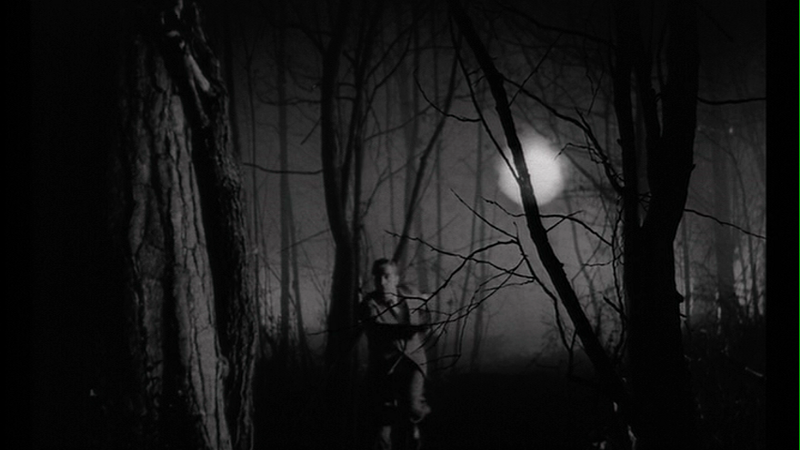 Without interesting situations to present, all Tourneur’s skill is essentially rudderless. Although it’s true to say that his approach is not obviously devoted to presenting each moment at its most impactful, but rather at weaving a mood of poetic intrigue, Tourneur is seriously hampered if the scenario doesn’t offer him a spark of tension. Dana Andrews in happier days: NIGHT OF THE DEMON. CIRCLE OF DANGER isn’t as moribund as FEARMAKERS, but it could certainly do with some added suspense. Ray Milland is trying to find out what happened to his brother, killed in action in WWII. His investigation brings him into contact with… some nice people. He gets angry at one of them, but it’s all a misunderstanding. Some thriller. It’s a tribute to Tourneur’s mastery and the charm of Ray Milland (oily variety) and Patricia Roc (a natural nice girl) that the thing is watchable at all. Fiona floated off into a magazine after ten minutes. What follows is a summary of most of the things I found to appreciate. 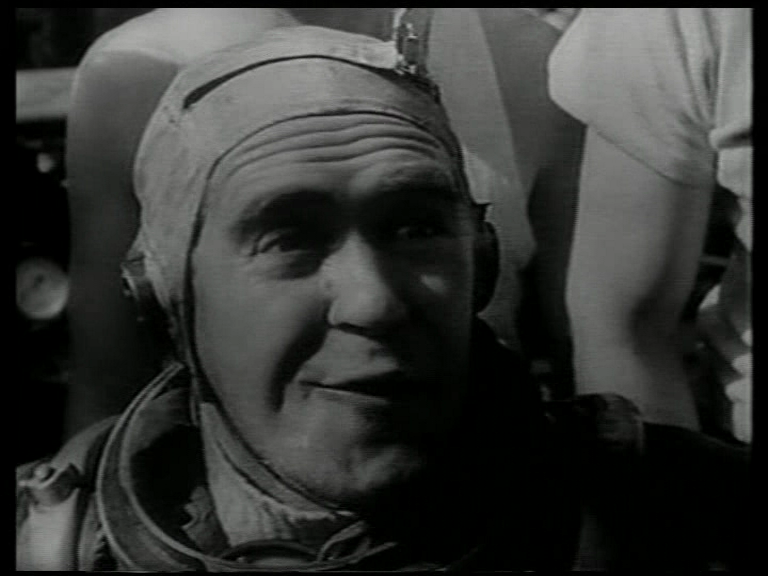 Peter Butterworth as an American salvage diver in Scene One. 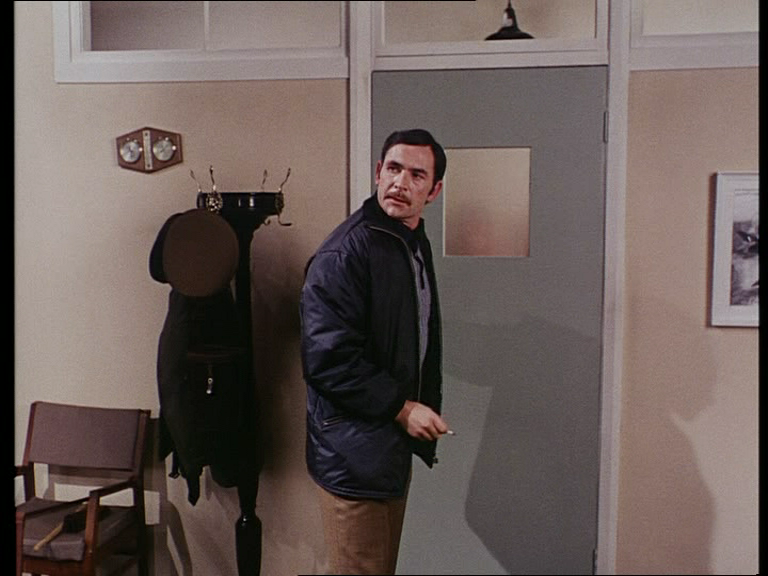 CARRY ON film stalwart Butterworth must have been proud of his Amurrican voice — he gets it out again in Richard Lester’s THE RITZ, in which his disguised accent is intended to transport us from Twickenham Film Studios outside London, to a gay sauna in Noo Yawk. An office in the Ministry of Defence. Having just watched the tedious THE BODY STEALERS, a Tigon Production which completed my Neil Connery retrospective, I was impressed with the different quality Tourneur brought to his scenes, aided by designer Duncan Sutherland. Wee Neil Connery surrounded by a pervasive ugliness. 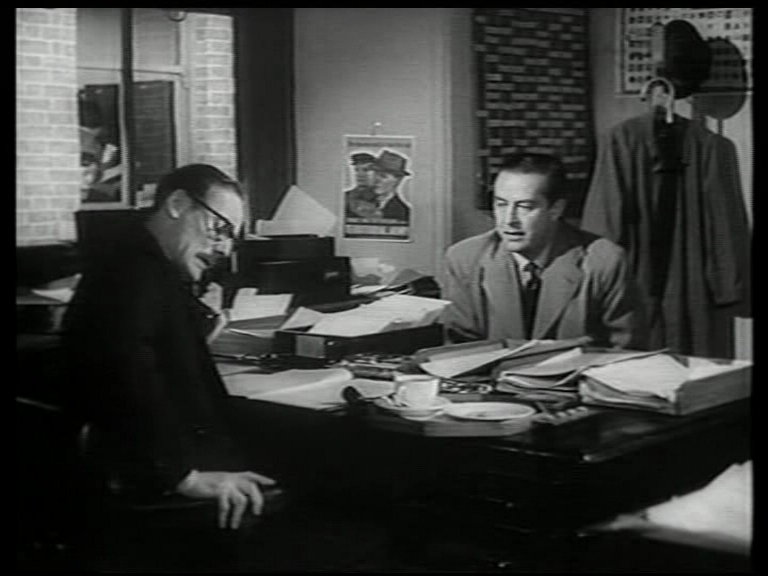 While THE BODY STEALERS spends much time in brown and undistinguished offices, which are cramped and ugly without making a dramatic virtue of the fact, Tourneur shoots out onto a facing window, through which other office workers can be seen going about their miserable humdrum lives. It opens out the scene while actually emphasising the claustrophobic discomfort of the environment. It’s drab, but STIMULATINGLY drab. Scotland. 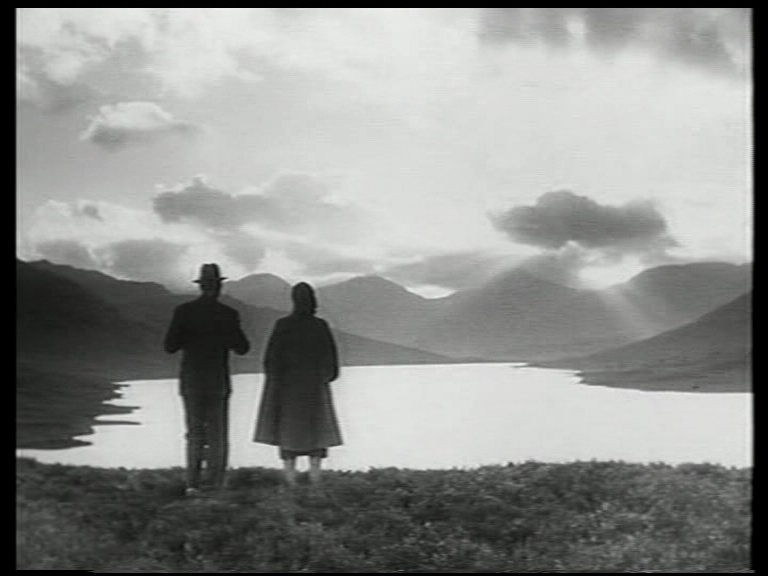 Only about a third of the action takes place in the Highlands, but there’s a little bit of nice scenery and it’s pleasant to think of Tourneur coming here. Otherwise, the film gets some good use out of its London locations, and also includes scenes set in Wales and Birmingham. No Brummie accents, but there’s an incomprehensible Welsh coal miner. Everything involving Marius Goring. While most of the performers satisfy Tourneur’s usual requirement of dreamy restraint (Patricia Roc, a limited but endearing player, is particularly well suited to Tourneur’s approach), Goring, with his sinister pointy teeth, is allowed to be a firebrand from the word go. Since he’s the only not-too-nice person we meet, his appearance is doubly welcome. Better yet, he’s an ex-commando, known for his savagery in battle, who’s now directing a ballet, and he’s very obviously meant to be gay. The surprise factor of a heroic and fearsome soldier who’s camp as knickers is pleasing enough, so that the character’s unpleasantness can be forgiven, but it gets better. Goring seems to be associated with fellow balletomane Reginald Beckwith (who later returned to Tourneur’s fold, playing the medium Mr. Meekin NIGHT OF THE DEMON), who’s certainly “light on his feet”, as they say, but he also appears devoted to taciturn Scotsman Hugh Sinclair, his commander in the war. At one point, Goring seats himself at Sinclair’s feet and leans into the man’s crotch to light his cigarette with a lighter Sinclair’s holding at groin level. 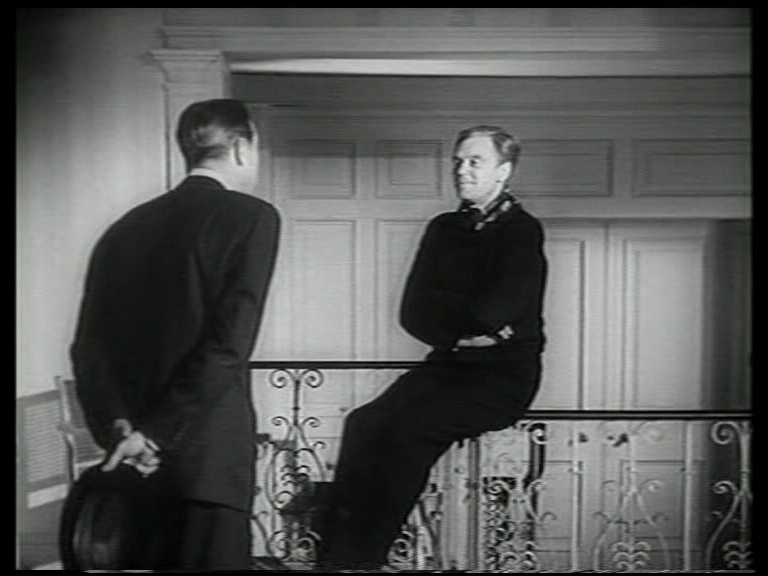 Furthermore, the film’s “surprise ending” does surprise in one sense — Goring turns out to be a wholly positive character, whose rude manner hides a heart of gold, and he averts a tragedy that the pigheaded Milland was on the point of causing. Based on this, and despite its numerous weaknesses as drama, I would have to say that CIRCLE OF DANGER presents possibly the most positive male homosexual character not only of 1951, but of all mainstream cinema up to this point. 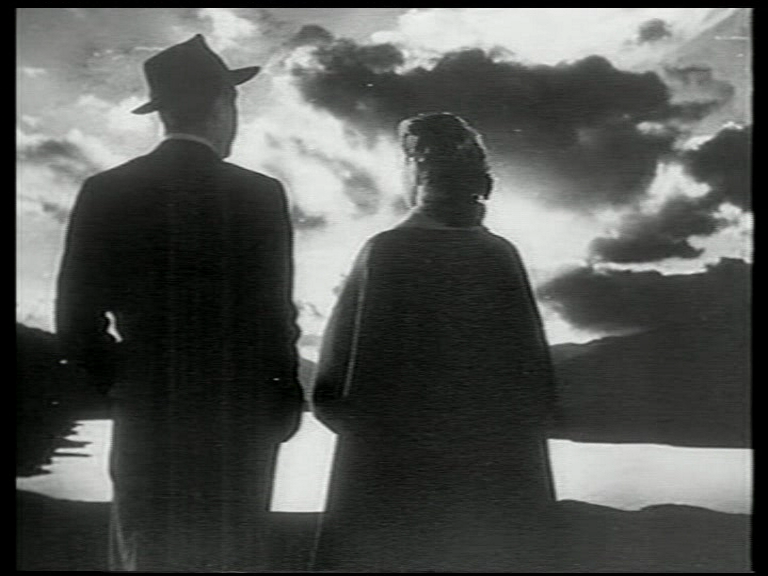 A tip of the hat to Tourneur, Goring, writer Philip MacDonald and producer Joan Harrison.